So let’s start with the good. Obviously, these films are incredible. 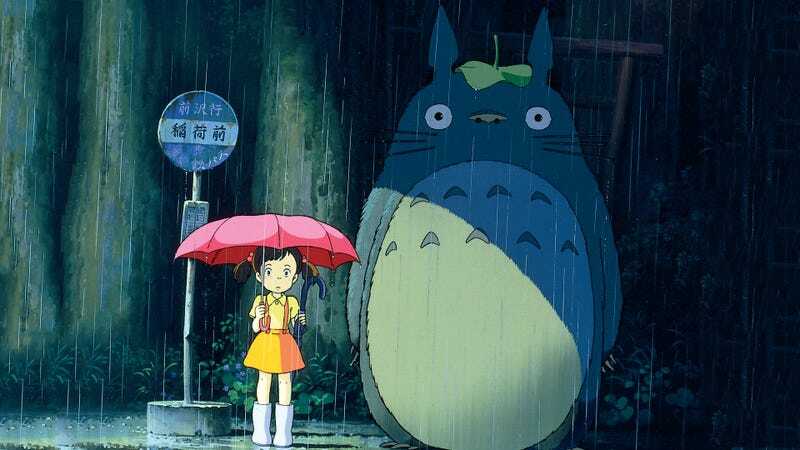 Some are more incredible than others but the career of Miyazaki is one that has explored all kinds of themes, genres, and always with a unique sense of wonder and imagination. To say he’s one of the best filmmakers of all time would not be an understatement. If you just want to own all of these movies and nothing else, this set is totally worth picking up. Each movie looks gorgeous, and has the Japanese original audio with English subtitles and—in the case of the newer works—the Disney/star-studded English dubs too. But on these 11 discs comes the biggest problem. None of these films has any special features. Not one. No commentaries, documentaries, trailers, featurettes, nothing. And this is doubly disappointing when you realize the individual releases Disney put out over the past few years have a good amount of features. So they’re out there. They’re just not part of this set. That means this set is a welcome addition to any Blu-ray collection, but you can’t get rid of the other Blu-rays or DVDs you already own. Those are still special, because of the features that dig deeper into each movie. That said, the few special features that are on this set are reasonably solid. There are three main ones. First is the full, 90-minute press conference from 2013, when Miyazaki announced his retirement. It’s nice to have a version of this once in a lifetime event—but having covered many press conferences, they are not that interesting, nor are journalists as smart as we hope. So watching the full thing gets tedious. Second is Miyazaki’s first solo directorial work, Yuki’s Son, from 1972. It’s a quick five minute piece that’s more of a sizzle reel or extended trailer than anything else. The story doesn’t make a ton of sense, but it has lots of very artistic and pretty shots, as well as the energy and quirkiness we’ve come to love from Miyazaki. Finally, there are three episodes of Little Samurai, a hit Japanese cartoon from 1972. Miyazaki was in charge of storyboarding the show, and you can instantly tell, from the dynamic shots and energetic movements. Overall though, the show feels pretty dated, albeit in a cheesy, charming, Saturday morning cartoon way. Each episode is about 25 minutes long. And we’d be remiss if we didn’t mention the packaging on this thing. Physically, this is a beautiful set in every way imaginable. When you put it in your hand, it just has a hefty, important feeling. There’s a super cool plastic film strip inside the set itself, and then inside is a booklet and the Blu-rays themselves. The booklet is wonderful. It features a long essay on the films called “The Great Dichotomy: Looking at the works of Hayao Miyazaki” by Tomohiro Machiyama. The piece breaks down each movie in a very meticulous, interesting way, looking at how they track Miyazaki’s growth, themes and more. 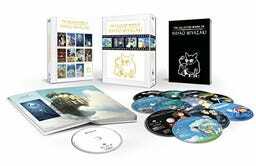 That’s followed by a short entry on each of the 11 movies, with words from Miyazaki himself. These are taken from production notes, magazine articles and more. They provide even more insight into what he was trying to accomplish with each film. As for the Blu-ray packaging, it too is fantastic. It opens like a book with each page housing a film, complete with splash page art and quotes. Basically, each one is a poster for the movie inside. The last page is the special features. “The Collected Works of Hayao Miyazaki” is a really solid set. A momentous monument to a man who made some of the best animated films of all time. However, without a lot of bells and whistles on the discs themselves, it falls short of being as definitive as you’d have hoped.